Todd has been in Financial Services Industry since 2007.He began his career with VALIC Financial Advisors, and joined KB Elliott in May of 2013 Todd has his Series 6 (Investment Company Products/Variable Contracts), 7 (General Securities), 63 (Uniform Securities Agent State Law), and 65 (Uniform Investment Adviser Law) FINRA Registrations, along with Life, Health, and Variable Annuity Insurance Licenses. His experience and knowledge in Investments, Retirement and Insurance Planning make Todd a valuable resource to KB Elliott. 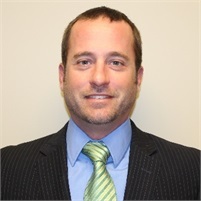 Todd is a a Registered Representative with Kestra Investment Services, LLC and an Investment Advisor Representative with Kestra Advisory Services, LLC. Todd Graduated from Illinois State University with a Bachelor’s Degree in Business Finance. Todd, his wife, Nichole, and their children, Logan, Carson, and Allison reside in Washington, Illinois.